Chartist 5.2 is a maintenance release of Chartist. It changed the limitations on the Trial Version to use a time limit (30 days) instead of a limit on the number of objects. It also simplified the way product keys are retrieved and entered into the program. Chartist 5.1 is a maintenance release of Chartist. It corrects a few minor problems, and adds support for the Windows Vista Operating System. In the prior version, thick lines did not render properly in the legacy Metafile Picture format. This release provides correct line thickness when Chartist drawings are exported as Metafile Pictures. Addiitonally the rendering of dotted and dashed lines was not correct for thin lines and borders. This release fixes that problem. With Word 2002 and subseqent, invisible instances of Chartist would be left running after "Object Create From File" operations. This has been corrected. In Vista, the second and subsequent instances of Chartist did not properly display the file type in the File Open dialog. This was corrected. Vista does not provide a printer setup button in the Page Setup dialog. We added a Printer... button to the Print confirm dialog, to allow the user to change the printer or its settings from the Print Command. The Setup Paper and Printer Command was changed to the Setup Paper command. A Security Manifest was added to Chartist, to cause it to run "As Invoker" under Vista. This prevents the Vista UAC system from "virtualizing" any file or registry operations from Chartist. This is the recommended best practice for Vista compliant applications. Chartist now uses the Microsoft Installer for installations and program maintenance. This provides a more secure and easily repaired installation. It also allows us to continue to provide a non-Administrator installation for both the Trial Version and Purchased Version. Users who wish to install Chartist on their system on Vista, without having to get permission or a password from an Administrator, may do so. Additionally, Adminstrative installations for all users on a machine, as well as network installations are fully supported. Chartist 5.0 has several improvements and new features. 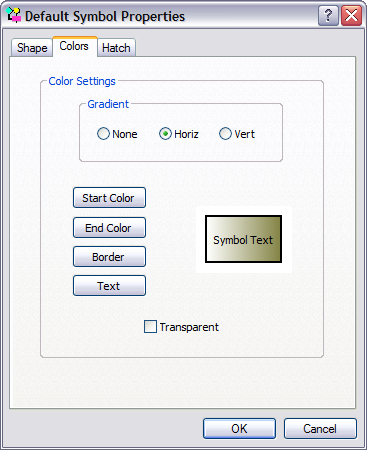 Previous versions provided for the choice of any solid color, or hatch patterns in any colors, for the symbol background. Version 5.0 introduces color gradients. For any symbol, a vertical or horizontal color gradient can be chosen. The starting (top, left) and ending (bottom, right) colors are independently chosen. Chartist provides for the import of external graphics as symbol objects. Version 5.0 adds several import formats. 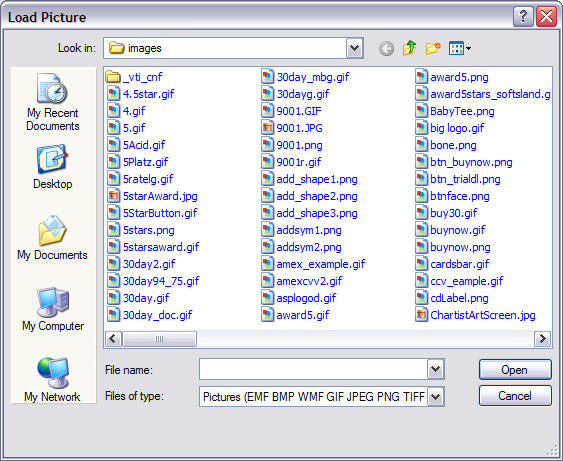 The supported formats include, BMP, WMF, EMF, PNG, JPEG, TIFF and GIF. When Chartist copies data to the Clipboard, or creates a Chartist COM object, it now provides the more accurate Enhanced Metafile format for use by other applications. Previous versions provided three choices in line and border thickness: thin, medium and thick. 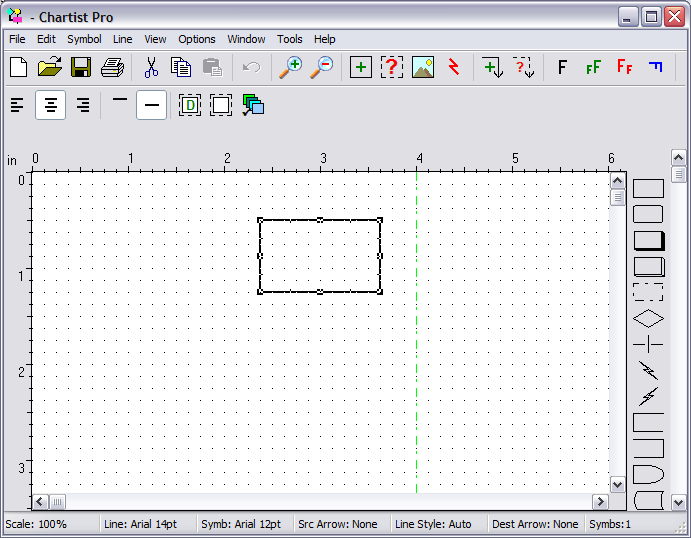 Version 5.0 allows you to specify any desired thickness for lines and symbol borders. 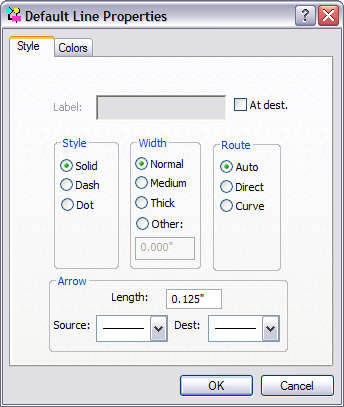 Version 5.0 also improves dot and dash styling for all symbol borders and lines. The toolbar icons are now larger and easier to see. Toolbar button has been added for direct access to the "Choose Active Planes" dialog to make it more convienient working with layered drawings. Additionally the function of the Text Justify buttons has been improved. The Text Justify buttons now show the justification for the current selected symbols, or the default justification settings if no symbols are selected. In Version 5.0, all of the default settings for lines and symbols are maintained in the Registry for each user. This means that the default settings you make will carry over to your next launch of Chartist. The scrolling settings for the Shapes Palette, are reinitialized after a File Load Shapes command. Registered users of any previous versions of Chartist may upgrade for the prices indicated on the Buy Now page.